Build a new dream home in a paradise location with a twist: Castaway Paradise’s paradise is recovering from a devastating storm, and you and the villagers must rebuild. 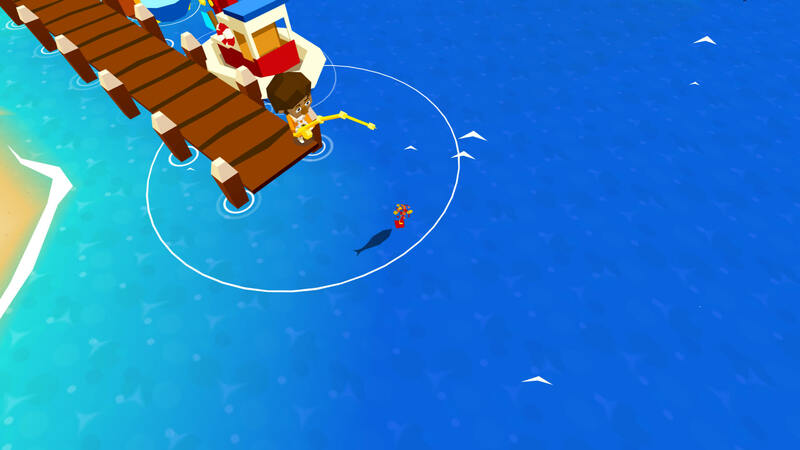 Castaway Paradise, by Stolen Couch Games and inspired by Animal Crossing, washes you ashore an island full of villagers who could all use your help after the island has been recently hit by a storm. The same storm destroyed your ship, leaving you having to make the best of this situation and make this new island town into your own home. Once you, covered in seaweed, hit the island you need to get your bearings and start to clean up the mess left on Castaway Paradise. The island is full of broken fences, stumps, rocks, trash and plants that need. With so much to do, as well as get settled in yourself, you can follow quests provided by three main townspeople. I found following quests to be the most beneficial way to help the island prosper, as these quests mostly have you adding to the world around you. Some quests require you to plant flowers, others catch bugs for the museum, some want you to grow crops, or plant trees. One of the villagers, Angus, does occasionally look for destruction. Other quests, once you have been playing for a while, give you bits of information about the character themselves. Your bird friend wants to learn how to surf, so you must go to the general store and pick up her surfboard order for her. Sometimes you might have to go back and forth quite a bit between characters to make sure you have the right item and have fully fulfilled the quest. There really is a lot to do within this game. Do you like collecting? You can catch a huge variety of bugs to decorate your house or donate to your museum. Enjoy planting crops? Well, you can plant and water crops, wait for their timer to run out, then harvest them into your silo. 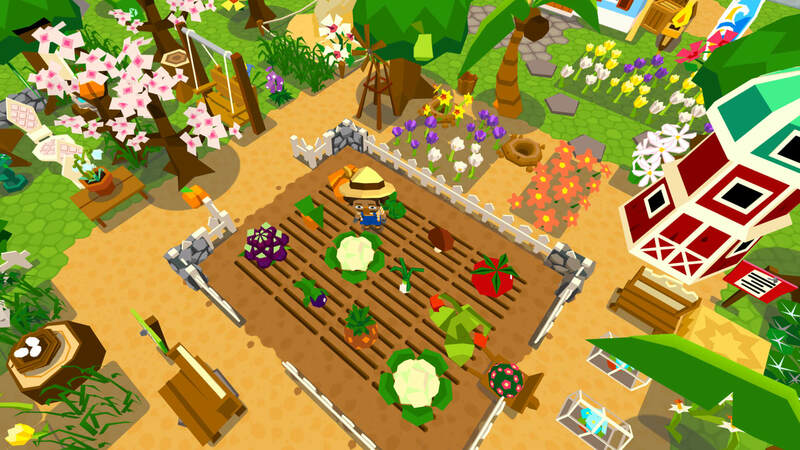 You can also harvest fruit from trees and plant flowers around the town. If you like fishing, you can spot the shadows of fish within the ocean and catch them. Maybe, you’d rather dress-up — inside the shop you can purchase various outfits. You can also purchase a bunch of furniture to decorate your house or the town. The shop and outdoor stand gives you good deals on items, but if you can’t find something, there is a large catalogue of items that you can search through and purchase. A large building with a clock on it allows you to invest your money in the stock market or put your cash in the bank to gain an interest rate after a set amount of time. There are also a ton of quests, never-ending, for you to test yourself again. Apart from daily quests, which allow you to gain badges (also stored at the building with the clock), you can grab quests at any time from those three main characters walking around the island. Some quests give you a question mark tile, otherwise you can purchase this tile at the shop. Gaining enough of these will allow you to fix bridges and unlock new areas of the island, finding more friends and more rubbish to pick up! Other parts of the island have different types of trees and harvestables as well, so you can grab them up and sell them for more money. Many of your friend’s buildings were broken during the storm — and it seems like the town is short on money to afford the repairs. If you end up making bank from produce, collectables, and doing quests then you can start to purchase the upgrades for these buildings. You’ll end up building a bakery, a museum, a pirate’s home, and much more. Fixing these homes also gives you a look into each of the character’s place of living, as well as tons of XP to level up. You can also upgrade your own home to unlock more rooms and give you more space for your stuff. I ended up spending a lot of time breaking down rocks, planting flowers, and trying to make this island town look lovely. All of the characters are really nice to interact with, there seems to be so much to do, and you probably won’t get bored anytime soon. Aside from a few glitches when viewing the catalogue — or when switching tools for the various jobs that I needed to do, which can be fixed by restarting the game — Castaway Paradise is a really nice, relaxing game to play through. If you’re a fan of Animal Crossing, you’ll probably enjoy this too. You purchase Castaway Paradise on PC, Xbox One, iOS, Android, and PS4.